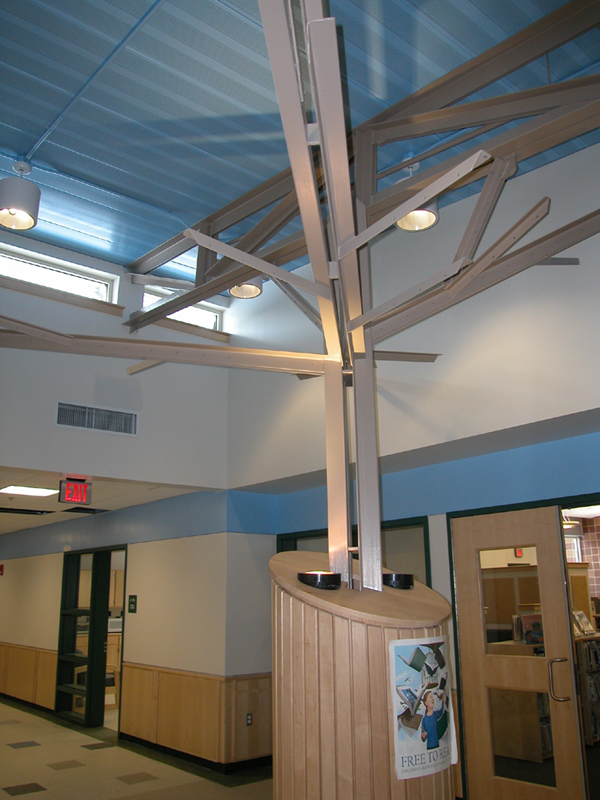 The lighting design highlights unique architectural details created in the main traffic areas and also the structural elements such as sloping ceilings in the classrooms. 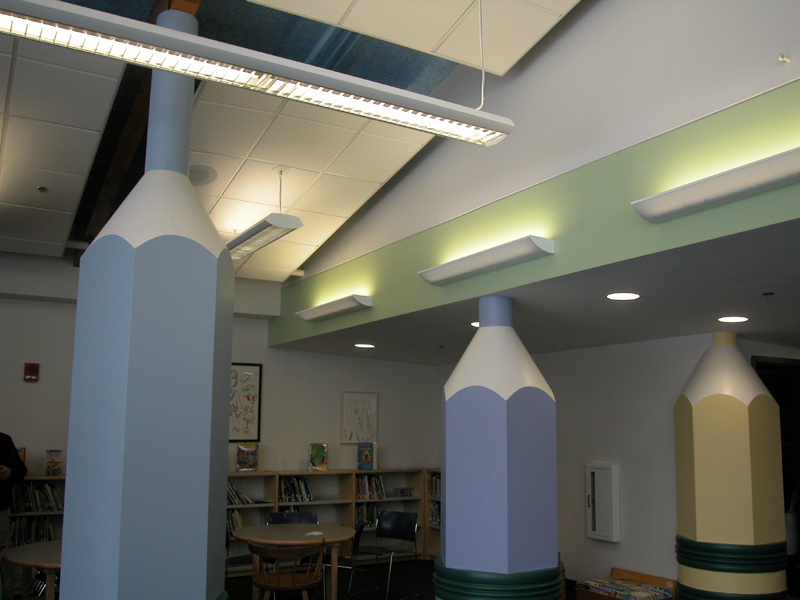 Indirect soffit lighting in corridors was chosen to complement daylighting that was provided by round lightwells and windows. 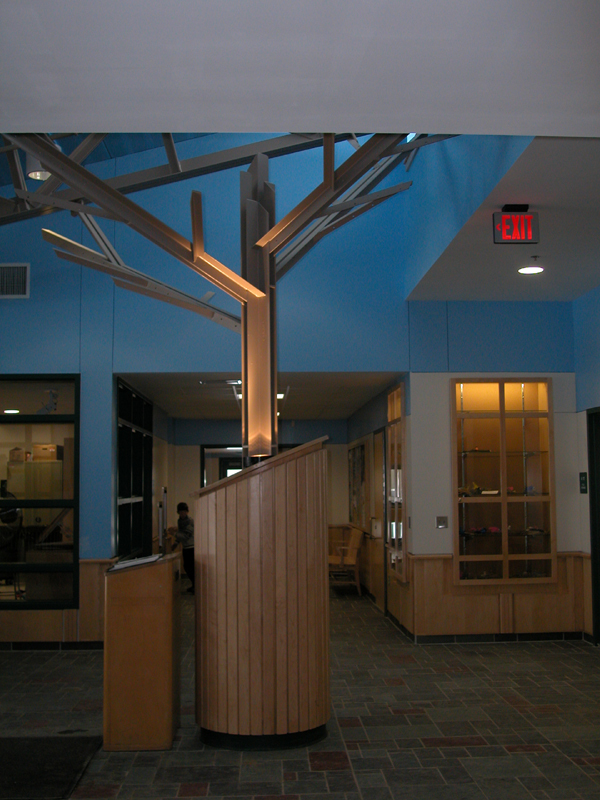 In the late hours of the day, the structural “trees” were uplighted to create interesting shadows and simulate landscape lighting. 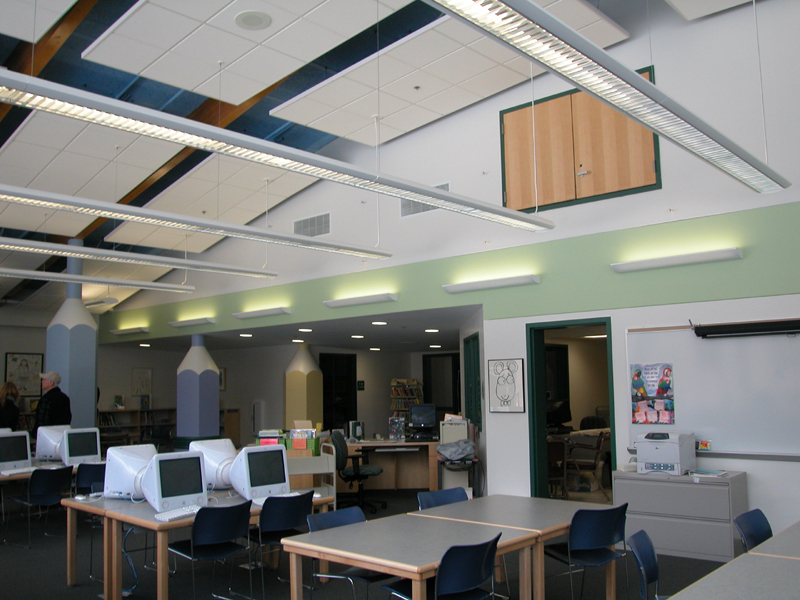 Classrooms, computer rooms, and libraries are lighted with indirect luminaires that offer required lighting levels in these spaces and prevent eye discomforting glare. 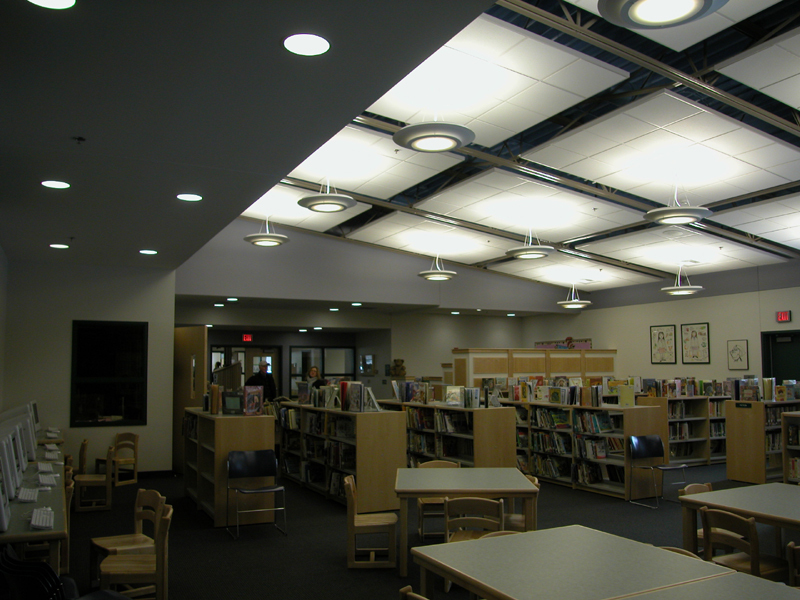 Downlighting was strategically placed in areas requiring higher light levels for task lighting.